On Saturday, Sept. 15, Grace Pacific held their GP Ohana Festival at Royal Kunia Community Park. 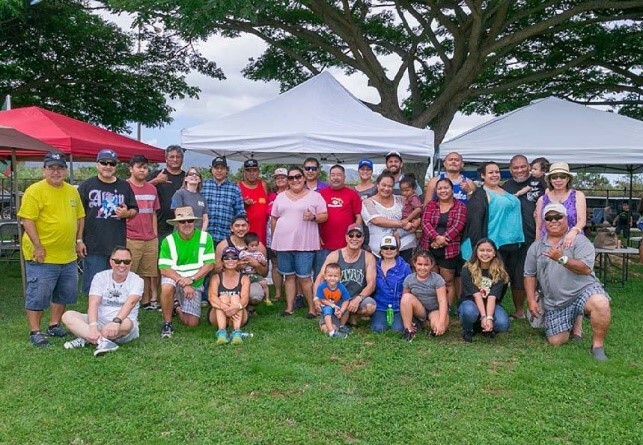 This event hadn’t been held in over 10 years, and its revival was due to GP’s commitment to recognizing and expressing its appreciation for its employees and their ohana. Many of the longer tenured employees mentioned how Grace used to show their appreciation in the “traditional local way,” with a gathering. Thus, the GP Ohana Festival was reborn. The event was a huge success — 760 employees and family members showed up for a day of fun and giving back to the community. The festivalgoers enjoyed live entertainment; raffle prizes; bouncy houses; a shave ice truck; baseball, volleyball, and Portuguese horseshoe (built by the GPRM Prestress) competitions; and a delicious meal prepared and served by management employees, including Pike Riegert, Bill Paik, and Chris Benjamin. GP employees brought donations for the Hawaii Foodbank to support the community. In total, the GP Ohana Festival yielded 894 pounds of canned goods and dry items, as well as $2,354 in financial contributions for the Hawaii Foodbank. The GP Ohana Festival was also held on Maui on Sept. 29, and Kona and Kauai will have their festivals soon as well. The GP Ohana Festival is a wonderful celebration that demonstrates how deeply GP appreciates and values its employees and their ohana, and we look forward to it being an annual tradition for years to come!